At least six survivors were found among the wreckage of a plane crash that was carrying 82 people, according to officials cited by the BBC and The Independent. The chartered flight included a squad from a top Brazilian football team Chapecoense. The plane crashed outside the Colombian city of Medellin after reportedly having electrical problems. Nigeria’s Super Falcons released new official photos before their match with Kenya in the ongoing Women’s African Cup of Nations in Yaoundé, Cameroon on Saturday night. President-elect Donald Trump has agreed to pay $25 million to former students of his for-profit Trump University as part of a settlement that resolves three outstanding lawsuits against him, including one in which he was set to testify in a trial that was due to begin in San Diego later this month. As part of the agreement, Trump will pay $1 million in penalties to the state of New York for violating state education laws by labeling his nonaccredited school a “university” without registering as an educational institution with New York state officials, according to New York Attorney General Eric T. Schneiderman, who announced the settlement Friday afternoon. The deal includes no admission of wrongdoing. The announcement came after days of frantic negotiations among the parties that began last week, after Trump was elected president and U.S. Judge Gonzalo Curiel — the U.S.-born judge whom Trump repeatedly attacked during the campaign as biased due to his “Mexican” heritage — began prodding the parties to resolve the cases. The first of three lawsuits was scheduled to start in Curiel’s courtroom Nov. 28. Trump’s lawyers had filed motions urging that the trial date be postponed, arguing that their client was too busy assembling his new administration to testify in a civil trial. Fidel Castro, the Cuban dictator who helped bring the world to the brink of nuclear war, tormented 11 American presidents and exerted almost total control over the last remaining communist government in the Western Hemisphere, has died. He was 90. For 47 years, Castro maintained his grip over the island nation by forging close bonds with the Soviet Union, Venezuela and China, inspiring a wave of anti-American leaders throughout Latin America along the way. His undoing began with surgery in 2006 that forced him to cede power to his brother, Raúl Castro, and forever changed the image of the man. Gone was the romantic vision of the bearded, cigar-smoking guerrilla leading his group of rebels through the mountains of Cuba, replaced by occasional pictures and videos of a frail, old man recovering in bath robes and track suits. The prolonged physical collapse gave hope to Washington and to more than a million Cuban-Americans who have fled his regime over the decades that a political change would soon follow. But his illness proved to be a blessing to those closest to him, easing the transition to a new leader and ensuring that they remained in power. And true to his character, it did little to change his view of his own place in history. Thanksgiving is almost here, and a lot of people have taken a few days off from work to travel, spend time with family, or just relax and recharge. At this point, most successful people have planned out (or at least thought about) what they’ll do over the next three days. They also compartmentalize any work-related tasks that slip into their days off, separating them from their coveted leisure time. “They know that if the two blend into each other, they’ll likely feel cheated afterward,” she says. Planning ahead for a holiday weekend is important because you don’t want to squander the relatively rare opportunity to decompress from the office. Not sure how to make the most of the next few days? We’ve got some ideas. Foreign firefighting planes on Friday helped Israel tackle a wave of wildfires that have forced tens of thousands to flee their homes, as police announced a dozen related arrests. Faced for the past four days with blazes across the country fed by drought and high winds, Israel received airborne assistance from Russia, Turkey, Greece and Croatia. 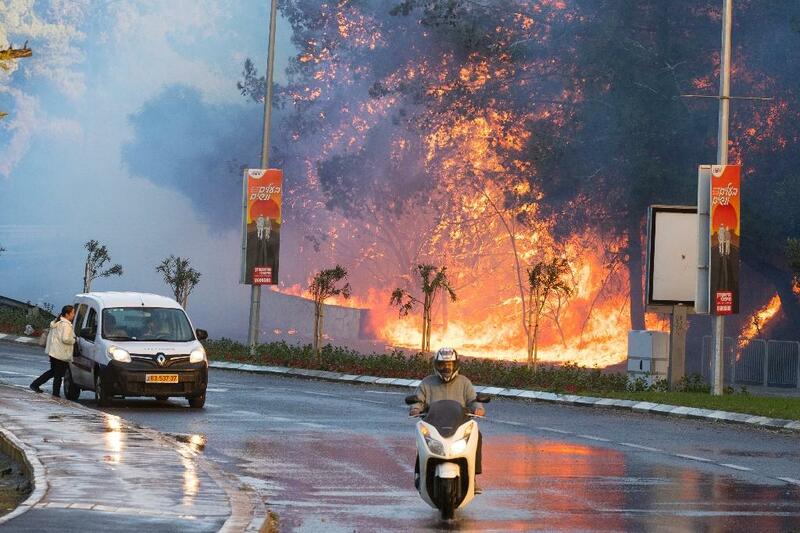 The flames in many places appeared to be easing somewhat despite the persistent wind, but a new fire erupted close to Jerusalem on Friday afternoon that the emergency services said was apparently started deliberately. Support from France, Spain and others was due while a US Supertanker, considered the largest firefighting aircraft in the world, was expected to arrive Friday night.